After some prodding, several times actually, from an acquaintance, I've finally begun to watch Dexter. The American television series is about a forensic blood splatter analyst who leads a double life as a serial killer, murdering the most violent of criminals who have escaped justice. 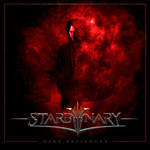 Coincidentially, new Italian metal band Starbynary, for their first album Dark Passenger have crafted a concept album around the same character and show. Perhaps the first question to ask is whether you need to be a fan of the show to enjoy the album. Perhaps, if you merely want to understand the character and story. But a quick Wikipedia reference could fill in the details for you. The band also has the lyrics for every song on their website, a helpful addition. Fans will immediately catch the Dexterian references, like the "the Code of Harry." Otherwise, the story of our not-so-conflicted serial killer is played out in the context of progressive power metal. Being from Italy, you can expect it to epic and bombastic, thanks to a wall of riffage and an ocean of synths, and it is. Pretty basic stuff. Vocals are handled by ex-Derdian vocalist Joe Caggianelli, who remains in fine form. However, on several songs he does seem to get swept away the grandiose power metal. His longtime friend and co-founder Leo Giraldi performs on guitar, offering the usual abundance of extravagent solos. For the album, Starbynary found a hired gun for bass player in Symphony X's Mike LePond. Much like Caggianelli's vocals, his bass lines are easily missed, being subdued even more than the vocals. Keyboards are played by Luigi Accardo, a relative newcomer, but with obvious depth to his talents. His synths embellish the soundscapes and his solos compliment Giraldi's guitar. Put all this together with the ambitious arrangements and you have Italian power prog in it's most extravagent form. And it's all rather straight forward and in-your-face. Only Reflections calms things down for a brief minute and a half. 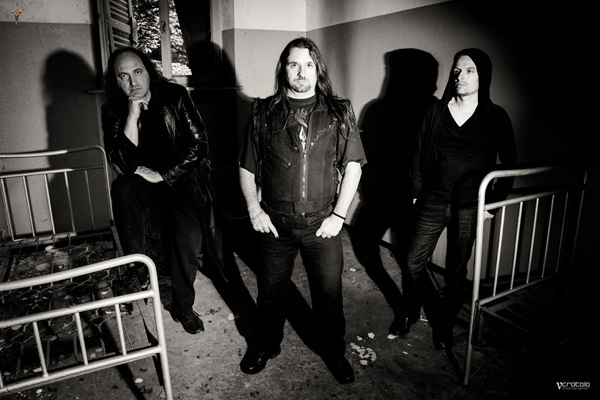 A song like Look Around Turn Away have some gentleness in a larger part at the start only to develop into full power metal, but with some significant groove. Dark Passenger and Codex move mostly on heaviness, the crush of riffage leading the way and bolstered by thundering drums. The final song only expands upon these things, offering Starbynary's progressive power metal in a four part, seventeen minute, epic. Fundamentally, I suspect that Starbynary will be able to hold their on with their peers like Rhapsody of Fire. So, if you like them, what I've described so far, or epic power metal in general, then Dark Passenger is for you. If epic and bombastic melodic progressive power metal is your thing, Starbynary's Dark Passenger, based on the Dexter television series, waits to blow up your speakers.